Revere Transducers 9102 Single-Ended Beam, Stainless Steel Welded-seal. 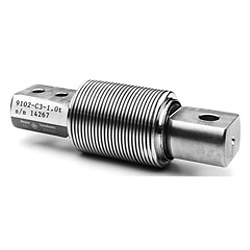 It's constructed of stainless steel with welded bellows and ideally suited for the toughest industrial applications where high accuracy and low profile are required. Capacities from 200 to 2500 lb. Complete with 10' of cable.